AJBAN LRSOV is a new armoured vehicle developed by NIMR Automotive, a company based in the UAE. The length of the vehicle is 5.68m. Image courtesy of NIMR Automotive. The maximum speed of the vehicle is 110km/h. Image courtesy of Emirates News Agency (WAM). 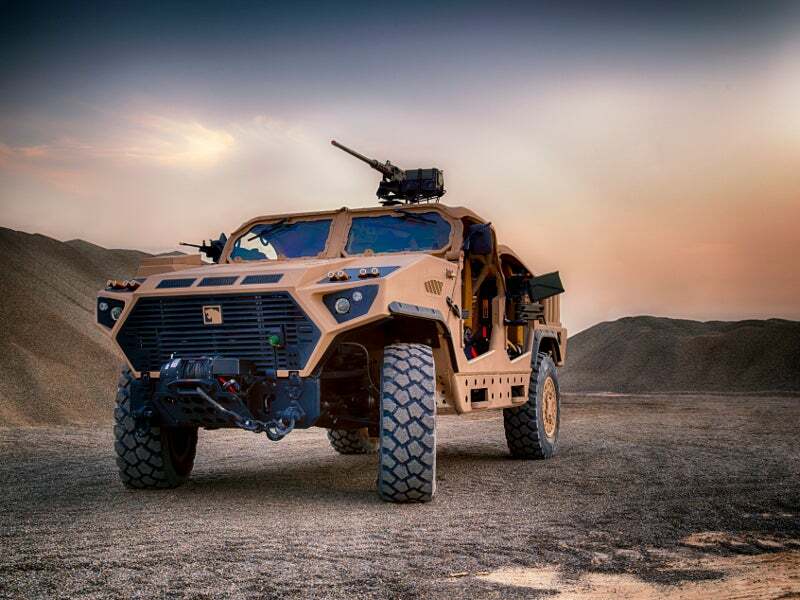 The AJBAN long-range special operations vehicle (LRSOV) was designed and manufactured by NIMR Automotive, an armoured vehicle manufacturer based in the UAE. It is the latest in the AJBAN family of armoured vehicles developed by NIMR. 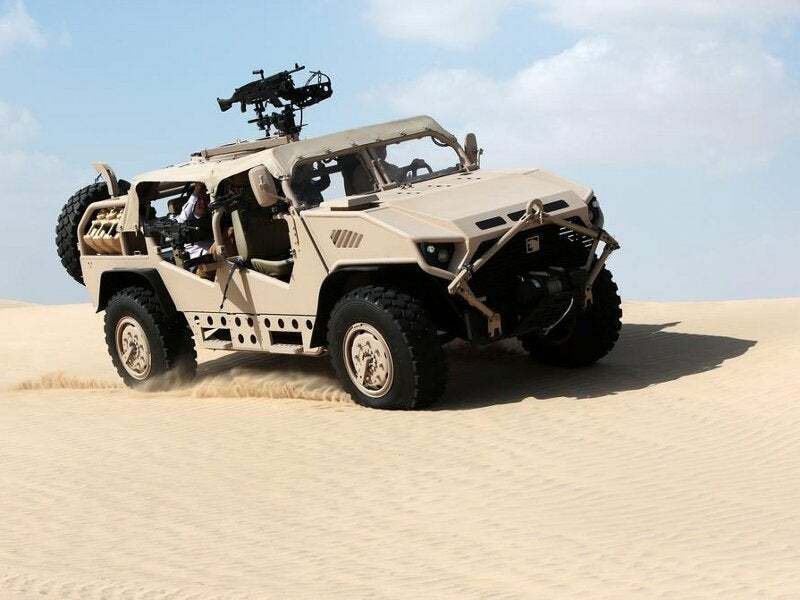 The AJBAN family also includes AJBAN VIP military armoured vehicle, AJBAN special operations vehicle (SOV), AJBAN 450, AJBAN 440A, and AJBAN internal security vehicle (ISV). The vehicle was officially launched at the international defence exhibition IDEX 2015 held in Abu Dhabi, UAE, in February 2015. It was also showcased at the Egypt Defence Expo (EDEX) 2018 held in Cairo, Egypt, in December 2018. AJBAN LRSOV is a reinforced versatile vehicle designed for use by the special operations forces across the globe. It is currently in service with the armed forces of UAE. The vehicle is intended to perform a range of missions including reconnaissance, search-and-rescue (SAR), and surveillance. 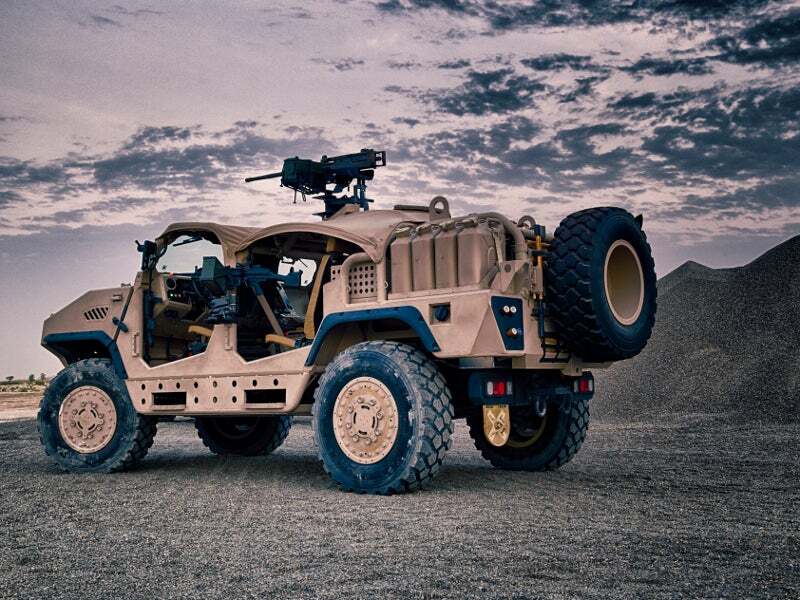 AJBAN LRSOV is based on a robust multi-purpose platform developed in compliance with the existing military standards for utility vehicles and fully-protected tactical vehicles. It features a 4×4 wheel drive layout and an open architectural design configuration. It is built using modular design techniques and can be customised to accommodate additional equipment to suit multiple mission requirements of the users. The conventional layout of the vehicle features the engine in the front, crew section in the middle, and troop section at the rear. A large two-piece windshield is fitted in front of the crew cab. The crew cabin has a standard seating capacity to accommodate up to four members and can also house an optional seat to accommodate an additional crew member. LRSOV has a length of 5.68m, width of 2.13m, and an operational height of 1.97m. It comes with a wheelbase of 3.3m and high ground clearance, ensuring easy manoeuvrability in all types of terrains. The vehicle can operate in harsh weather conditions with temperatures ranging between -19ºC and +49ºC. The gross weight of the AJBAN LRSOV is 8,000kg, while its base weight is 5,000kg. The maximum payload carrying capacity of the vehicle is 3,000kg. The special operations vehicle is equipped with multiple weapon mounts on the hull to house a range of high-calibre machine guns. A heavy machine gun is centrally mounted high on the roof to destroy enemy fortifications with high accuracy. It can also be armed with automatic grenade launchers and small rifles to enhance the firepower of the vehicle. AJBAN LRSOV can be optionally equipped with ballistic and blast protection system to improve its survivability. Other optional equipment and systems include military-grade battery management system (BMS), night vision equipment, display monitor, blast belly plates, ballistic armour kits, C4I command control system, high-capacity winch, and personal weapon mounts. AJBAN LRSOV is powered by a diesel engine with a maximum power production capacity of 296hp (221kW) at 2,500rpm. The engine is coupled with a six-speed automatic transmission system. The maximum torque generated by the engine is approximately 1,100Nm at 2,500rpm. Mobility features of the vehicle are aided by the onboard central tyre inflation system (CTIS), run flat inserts (RFI), double wishbone suspension system, and dual-circuit air-over-hydraulic brake system. The vehicle has a maximum speed of 110km/h and can travel up to 700km at a cruise speed of 100km/h. It has a turning radius of less than 15m, can overcome steps of 400mm height, and negotiate 60% grade slopes. It can ford water obstacles at a depth of 1,000mm. The vehicle can be air transported to the remote mission locations either as under-sling load or internal load by heavy-lift helicopters such as CH-47 Chinook.